So Day 1 is down in books . 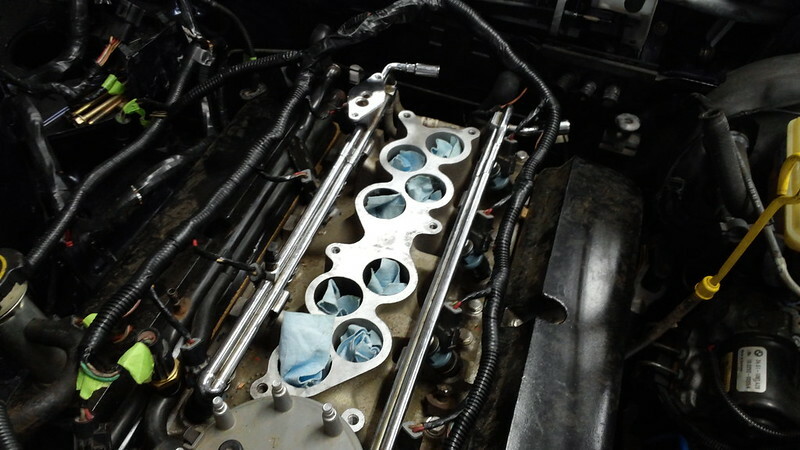 . . No parts flew and very few wrenches were turned. 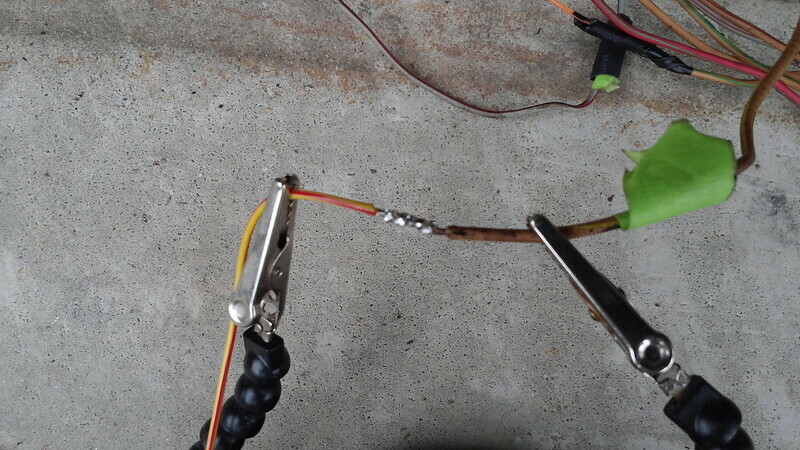 But a lot continuity testing, wiring, and soldering was accomplished. 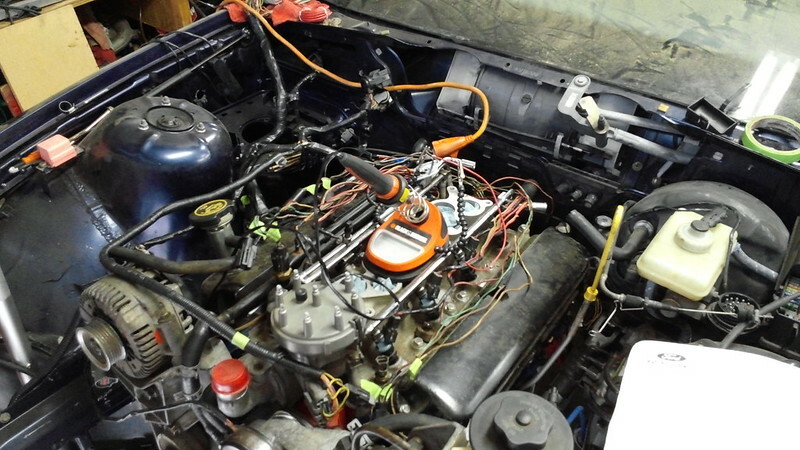 Since I haven't seen or done anything on the 350is in YEARS, it made sense to start the wiring from scratch. 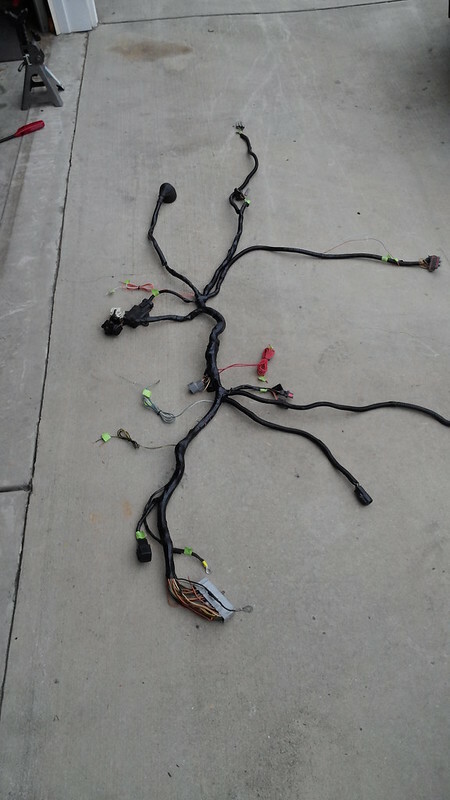 The harness I had was a juicy mix of a 88-91 and 92-93 Foxbody 5.0L harness . . . that was hackered to death. AWESOME!!! 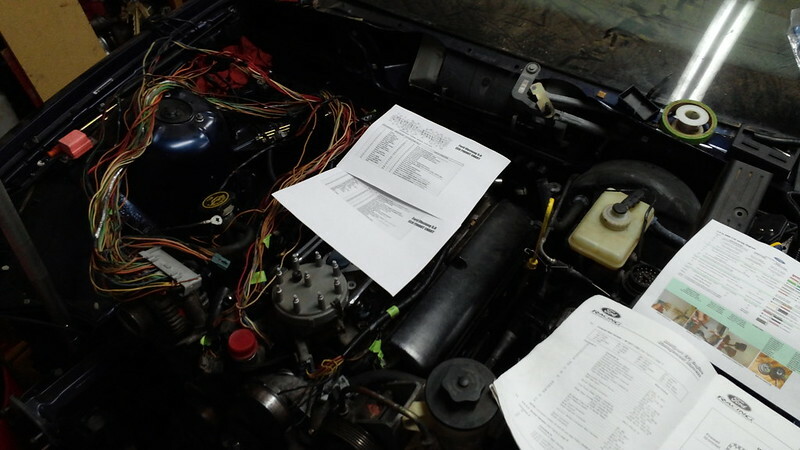 I sat down with my mulitmeter and wiring diagrams from the 88-91 and 92-93 Mustang and the E36 V8 Swap manual. Look at all the fun I had . . .
Let's actually read the instructions . 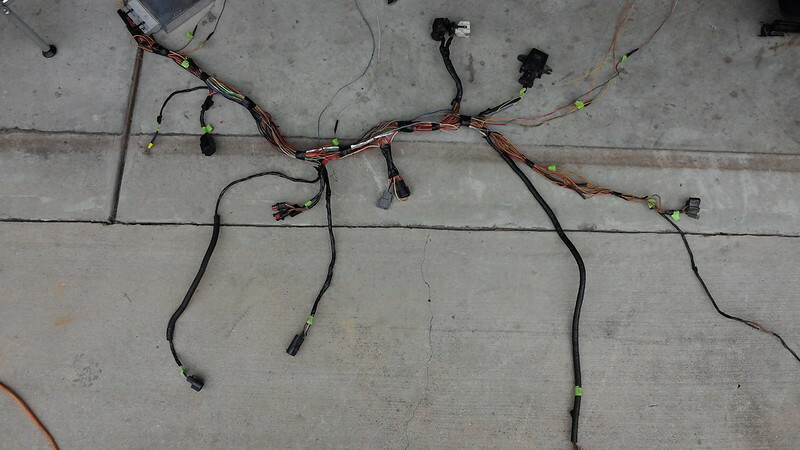 . .
Tracing wires in the Main Harness. Much fun was not had . 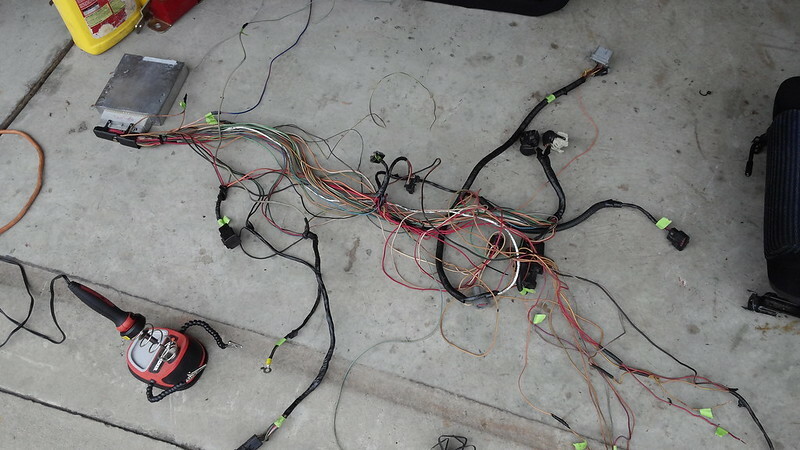 . .
Main Harness COMPLETED . . . or is it?? Remember that bit I spoke of my harness being a hackered two timer?? Yea, I sure didn't. 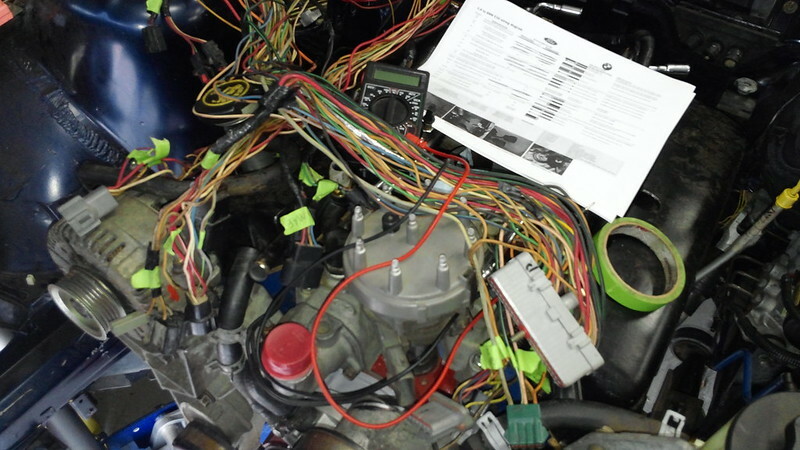 The 92-93 harness comes with a fuel pump relay wired into the harness and 88-91 needs to have one added. 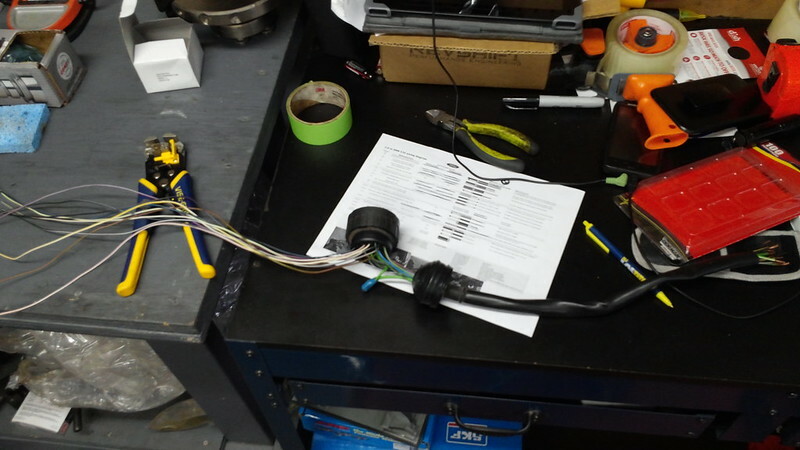 Care to guess which part of the harness I have . . . . Nope, no shots of me adding the fuel pump relay and proceeding to smash my forehead again the garage door because I forgot to add it be before I wrapped it . . . I finished off the day by removing the seats and all of the items that I had stored inside and on top of the car. I threw a battery in and fooled around with the passenger window before I retired for the evening. 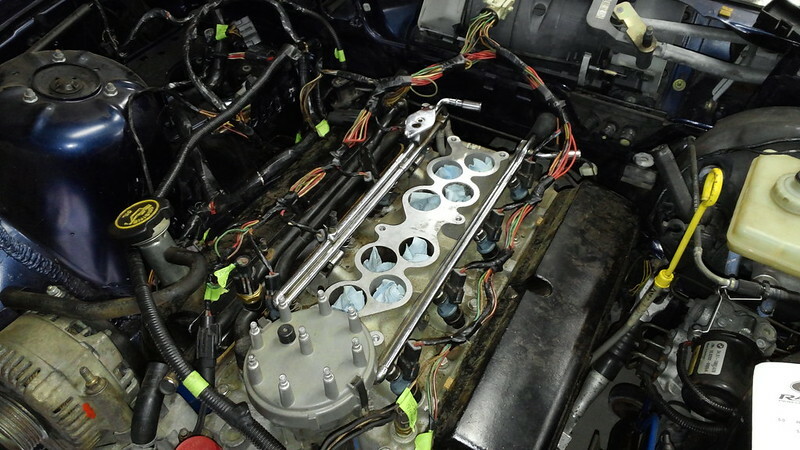 Day 2 = Engine + trans Removal and repairing a janky passenger window regulator. Stay tune! !